Much of my work up to about 2005 was concerned with critical views of the idea that central banks should be ‘independent’ from political control. Some of it sought to identify flaws in the arguments widely taken as supporting independence, and some of it pointed to neglected respects in which independence may be harmful. One strand of my critique of the case for independence simply questions the purported evidence that it brings benefits. I argued in Forder (1996) that the usual approach of the literature – which depends on measuring independence according to statutory characteristics and comparing the result with inflation outcomes – is flawed since there are several important reasons that statutes do not determine central bank behaviour. I expressed some of the same views in Forder (2001b), but also moved on to criticise the attempt to measure ‘accountability’ by a parallel process of reading statutes – at least when the study in question is devoid of normative argument. In Forder (2003) I sought in part to substantiate the view that these arguments make for an important criticism of the ‘statute-reading methodology’ by showing that the understanding of the ‘independence’ of the Federal Reserve System has undergone a complete change since that institution was founded in 1913, but that this is not traceable to statutory amendment. Rather, it is a consequence of a development of the political system and of the popular understanding of the appropriate behaviour of various parts of the government. In Forder (1999a) I made a further criticism of the same group of empirical studies, noting that even if statute-reading is appropriate, there are two crucial weaknesses in the evidence. One is that there are important instances where the authors of these studies have apparently selected their favoured measure of independence by reference to the extent to which it is correlated with inflation – thereby making their argument circular. Another is that, even taking alternative measures finally adopted by different authors, there is little correlation between them, and consequently no worthwhile agreement as to what statutory characteristics are constitutive of ‘independence’. In the light of this, agreement that ‘independence’ matters holds no interest. In Forder (1998a), I scrutinised one widely cited study of the relationship between independence and inflation, noting what appeared to be errors in the data and the use of the data which, I suggested, created the impression of a much more impressive relationship between inflation and independence than was apparent when the study’s approach was implemented correctly. Jacob de Haan (who was not the original author) commented on this paper, and I responded in Forder (1999b). A second aspect of my work concerned the view that independence improves ‘credibility’. One issue was simply what ‘credibility’ means in economic theory. Many authors, and in particular many advocates of central bank independence, seem to be mistaken about this issue in a variety of ways. In Forder (2001a) and Forder (2004c) I did my best both to explain what the theory, properly understood, really says, and to argue that, once it is properly understood, it quickly becomes apparent that it has almost no empirical value. In the first of these papers, I aimed to show that the theory of credibility is implausible, unsupported by evidence, and – perhaps more surprisingly – does not in fact consistently inform the actions of policymakers. In the second, I was particularly concerned to distinguish ‘the credibility problem’ from issues of political motivation of policy, and short-termist policy – two things with which it is routinely confused. Both of these papers suggested that bad policy is likely to be the outcome of poor interpretation of theory, making the question at hand much more than one of academic principle. Forder (1998b) was mainly concerned with showing that even if, in fact, the theory is useful and informative, it in any case does not support the case for central bank independence. In this general vein, I made rather shorter comments on the appropriate interpretation of Rogoff’s much quoted idea of a ‘conservative central banker’ in Forder (1997); and on the distinction between ‘commitment’ and ‘reputational’ solutions to the credibility problem in Forder (1999c). Finally, Forder (2000) illustrated some of the ways in which misunderstandings over theory are manifested in errors in the analysis and recommendations of the literature, and Forder (2004a) pointed to one likely source of continuing confusion in a particular paper which sought to survey opinions on the importance and sources of ‘credibility’ without indicating what the word was to be understood as meaning. Bank of England Museum. The Bank is just round the corner – still very handy for public transport. the Labour government’s confidence in the effects of its making the Bank of England independent did detrimentally affect fiscal policy). In Forder (2001c) I suggested that misapprehensions as to the nature and benefits of independence are a good part of the explanation of the flawed construction of the institutions of the European Monetary Union. There has also, of course, been a great neglect of the issue of whether independence – particularly in its extreme forms – is democratically acceptable. Economists may be uncomfortable in such overtly normative terrain, but it is also true that the issue is often dismissed, or treated as trivial, rather than merely ignored. In Forder (2004b) I considered a considerable variety of responses in the central bank independence literature to the issue of democratic accountability, finding none of them satisfactory, and tracing a good deal of the problem, again, to muddle over what the theory of credibility says. I also developed aspects of this argument, along with some specific commentary on the attitude taken by the European Central Bank to the issue of democratic accountability in Forder (2002b), and Forder (2004d). Even more surprising, perhaps, is the neglect of the issue as to whether independent central banks should be expected to pursue the public interest at all: ordinary presumptions of economics would have them pursuing their own. In Forder (2002a) I argued, again through the medium of a consideration of the ECB, that the older presumptions ought to be returned to centre stage. In Forder (2005a), noting that in certain respects the independence of the ECB is not nearly as secure as one is sometimes led to believe, I considered more fully what behaviour in defence of that independence is to be expected from it. 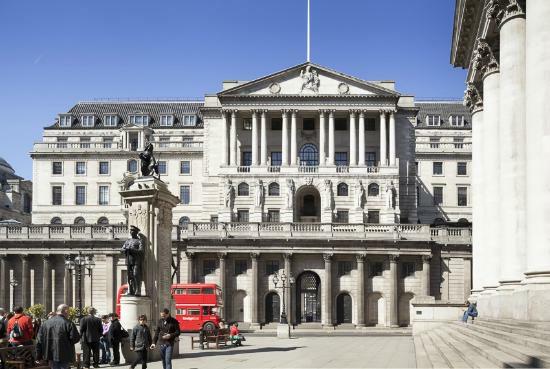 It becomes clear, I think, that once one takes the step of seeing central banks as institutions with interests of their own, that their release from public control ought to be a highly controversial matter – particularly in the absence of theory or evidence which properly supports it! These considerations clearly raise the issues of what it is that has made central bank independence such a popular idea, especially amongst economists, and why it was that became so popular amongst them so suddenly. I sought to answer this in Forder (2005). The interests of economists themselves were one aspect of the issue I considered. Forder, J. (1996) ‘On the assessment and implementation of ‘institutional’ remedies’. Oxford Economic Papers 48(1) pp. 39-51. Forder, J. (1997) ‘Review of Schaling, E ‘Institutions and Monetary Policy: Credibility, Flexibility and Central Bank Independence’’. Economic Journal 107(443) pp. 1244-1246. Forder, J. (1998a) ‘The case for an independent European central bank: A reassessment of evidence and sources’. European Journal of Political Economy 14 pp. 53-71. Forder, J. (1998b) ‘Central bank independence – conceptual clarifications and interim assessment’. Oxford Economic Papers 50 pp. 307-334. Forder, J. (1999a) ‘Central bank independence – reassessing the measures’. Journal of Economic Issues XXXIII(1) pp. 23-40. Forder, J. (1999b) ‘Response to de Haan’s comment on ‘The case for an independent European central bank: a reassessment’’. European Journal of Political Economy 15 pp. 763-767. Forder, J. (1999c) ‘Review of Eijffinger, S and Huizinga, H (eds) ‘Positive Political Economy: Theory and Evidence’’. Economic Journal 109(459) pp. 827-829. Forder, J. (2000) ‘Credibility and Central Bank Independence: Is there a shred of evidence?’. International Finance 3(1) pp. 167-185. Forder, J. (2001a) ‘The theory of credibility and the reputation bias of policy’. Review of Political Economy 13(1) pp. 5-25. Forder, J. (2001b) ‘Some methodological issues in the statutory characterisation of central banks’. West European Politics 24(1) pp. 202-216. Forder, J. (2001c) ‘Image and Illusion in the Design of EMU’, in From Nation State to Europe: Essays in Honour of Jack Hayward eds. A. Menon and V. Wright. Oxford: OUP pp. 158-174. Forder, J. (2002a) ‘Interests and ‘Independence’: the European Central Bank and the theory of bureaucracy’. International Review of Applied Economics 16(1) pp. 51-69. Forder, J. (2002b) Democracy and the European Central Bank. London: New Europe. Forder, J. (2003) ‘‘Independence’ and the Founding of the Federal Reserve’. Scottish Journal of Political Economy 50(3) pp. 297-310. Forder, J. (2004a) ‘“Credibility” in context: Do central bankers and economists interpret the term differently?’. Econ Journal Watch 1(3) pp. 413-426. Forder, J. (2004b) ‘Central bank independence: Economic theory, evidence, and political legitimacy’, in The rise of the market eds. P. Arestis and M. C. Sawyer. London: Elgar pp. 145-180. Forder, J. (2004c) ‘The theory of credibility: confusions, limitations, and dangers’, in Neo-liberal economic policy eds. P. Arestis and M. C. Sawyer. London: Elgar pp. 4-37. Forder, J. (2004d) ‘The ECB and the decline of European democracy’, in The price of the euro ed., J. Ljungberg. London: Palgrave pp. 71-87. Forder, J. (2005) ‘Why is central bank independence so widely approved?’. Journal of Economic Issues 39(4) pp. 843-865.